A reader sent in a comment about Fuku 5 and 6 on Google Earth and that got me to looking at Reactor 3 also. 2) The equipment pool, where they had a fresh load of MOX ready to load. 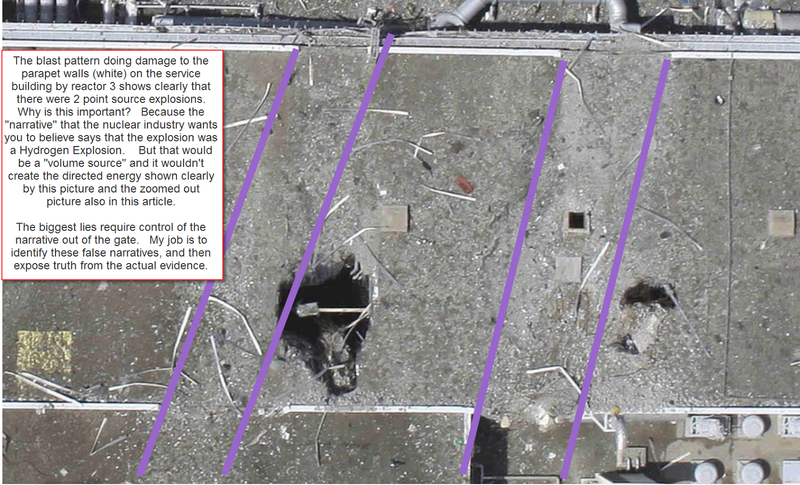 Nothing could be more clear, although Fukushima 3 was a massive upward explosion, these blast trajectory tracks clearly show that blasts were "point sourced" as opposed to "volume sourced" as if the whole volume of the reactor building blew up in a hydrogen explosion. Indeed, these were point sources center on the equipment pool, and the spent fuel pool. Both had MOX fuel which is highly enriched in Plutonium, like an atomic bomb. So this was a a type of runaway nuclear chain reaction, a nuclear explosion, of a type called a moderated prompt criticality. Why is this important? Because it illustrates how dangerous MOX is. The Nukists had previously lied to the world about their ability to get rid of plutonium by "reprocessing" into a new batch of fuel. So the truth of this Moderated Prompt Criticality, a nuclear explosion from MOX, destroys the nukist argument that they can safely get rid of Plutonium. Here I present the screen capture with no lines so you can verify the blast pattern for yourself. 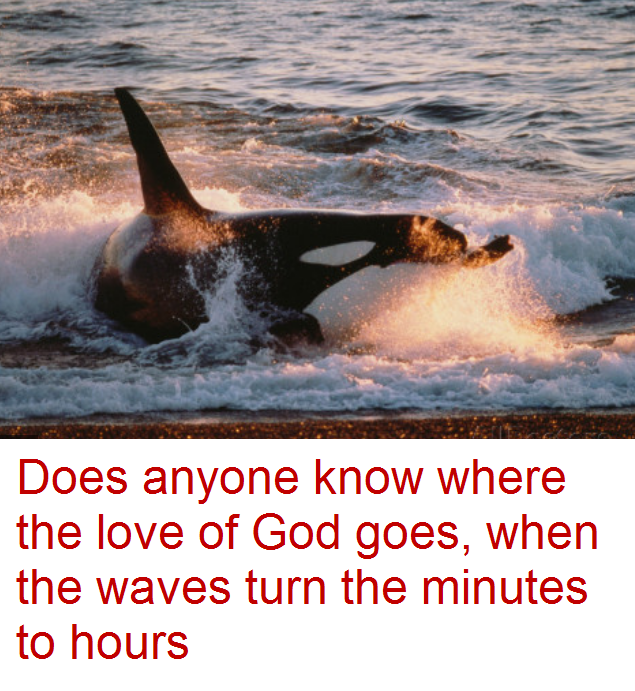 There are things we still do not understand about nature. Why be as arrogant as the nuclear industry and pretend that we know "enough" to play with the most dangerous thing on the planet? "Does anyone know where the love of God goes, when the waves turn the minutes to hours?" Criticality in a cylindrical reactor isn't a point source. It's a volume source where the Flux is cosine shaped in the axial direction and Jo Bessel function in the radial direction. Consult Duderstadt and Hamilton. You know Duderstadt was the president of UMich. A pretty good achievemenews for a nuclear engineer. NUke, if you continue to make these vacuous comments I will delete all of them, including the old ones. You haven't even read the article and are just throwing out shite. 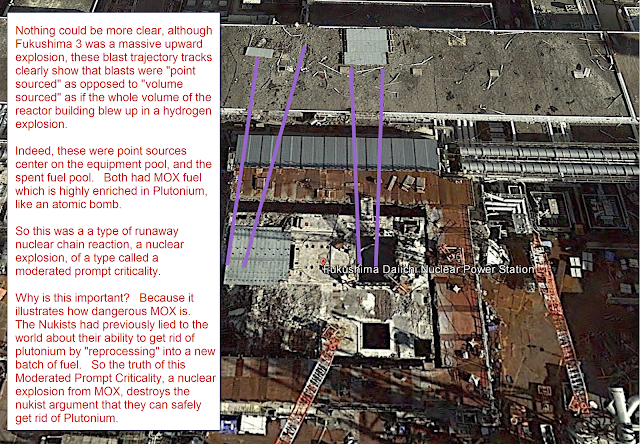 I have stated that the PMC did NOT come from the cylindrical reactor. Your comment about energy, is just assinine, you pretend it is a rebuttal to my clear evidence. When you blast 200,000 lbs of radiation into the atmosphere, that is no longer a localized event. You are becoming tiresome. The critical if it were ever to occur wouldnt come from outside the reactor. The reason is geometry. The reactor represents the optimum geometry. Any geometry other than that or a pure sphere would require massive amounts of fossil material. Look up buckling theory. We are talking past each other. You don't understand the mechanisms you even put forth. You confuse explosions send plumes with crit. I'm off to Europe soon to discuss accident kinetics and have to fnish a tech journal article on the subject. What are you doing to move your theories forward. You know I know borax, and you know I know the increase in reactivity with a collapsing steam bubble. That collapsing bubble probably caused by a hydrogen explosion. Then the explosive directivity proof I just released, and the EPA data showing the amounts of uranium in air at 26 times normal background over the whole pacific. Stock, there has long been talk that there was a secret Japanese Nuke Lab located under Fukushima (where better to hide ☢ than under ☢. If correct, that would provide the reason why first TEPCO, then the Japanese Gov't. 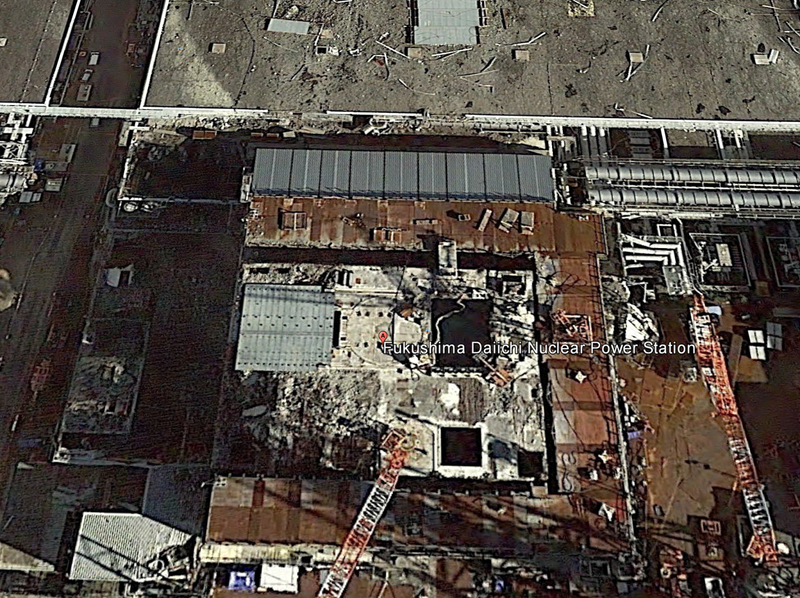 (who now own TEPCO) have not allowed outside experts access to the site. BTW: Many feel that the Japanese have all the components for a large number of Nuke weapons that are just waiting to be assembled if needed. This would allow the Japanese Govt. to continue to deny having Nukes, which I understand is against the Law. 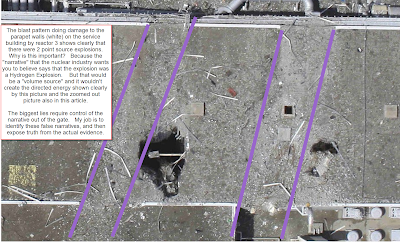 The picture at the top of my blog is experimental fuel cells lying in the rubble. The crane dropped cameras all were focused on these fuel cells. Indeed, USA cannot protect Japan from China attack, no way. Japan needs it's own nukes to deter China. Nothing else makes "sense" in a geo-political-military chess game. Borax has nothing to do with a Fukushima style accident. I know the folks that wrote the chapter about it. Read the references. Then get back to me.